The fastest way to find the right part the first time. Don’t let your parts counter get cluttered with paper catalogs or search on different OEM websites when looking for the parts you need. 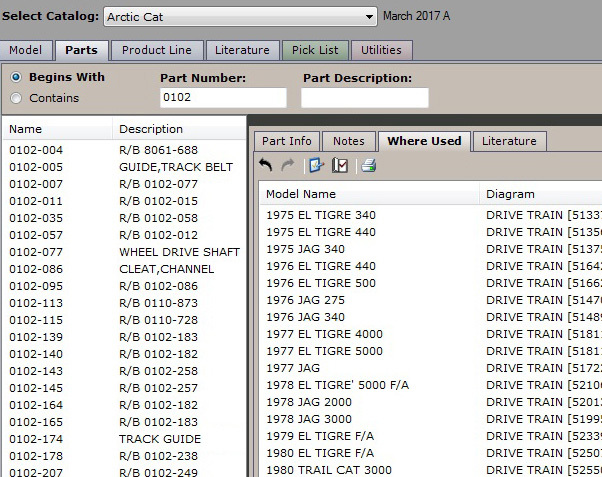 Find Parts Faster Search by model name, model attributes, part number and part description to find the right part. Get The Part Information You Need PartSmart gives you part details, pricing, part replacement history and diagrams whenever you need them. 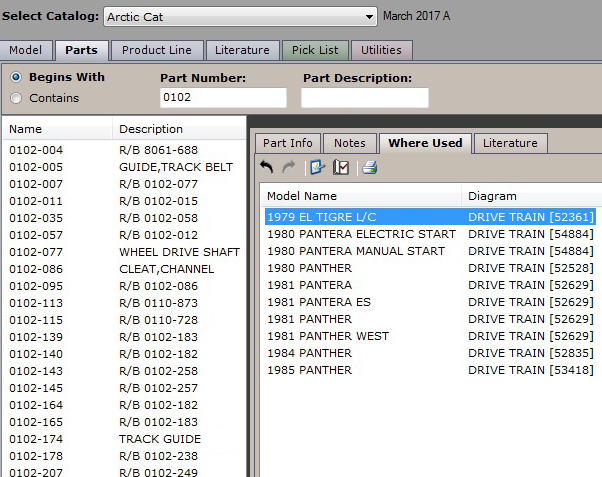 Locate Where The Parts Are Used Search an entire manufacturer catalog to find all the models, and on which diagrams a part is used. 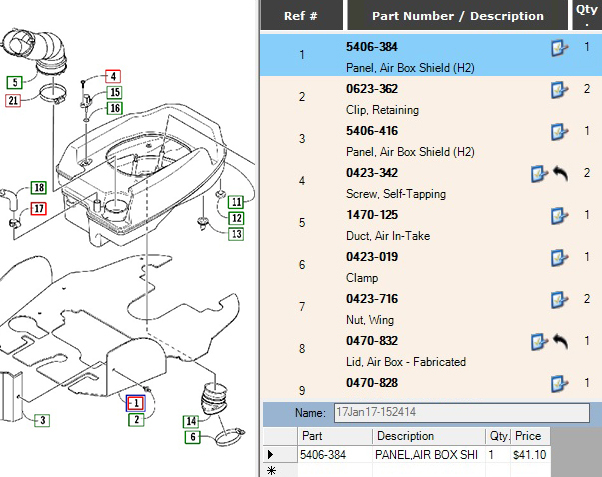 Customize Your Parts Display See part numbers and illustrations together or separately: view an entire illustration, or zoom in to improve detail. Search by model name, model attributes, part number and part description to find the right part. PartSmart gives you part details, pricing, part replacement history and diagrams whenever you need them. Search an entire manufacturer catalog to find all the models, and on which diagrams a part is used. See part numbers and illustrations together or separately: view an entire illustration, or zoom in to improve detail. PartSmart Offers Access to More than 90 Leading Manufacturer Catalogs! More than 20,000 users worldwide trust PartSmart. 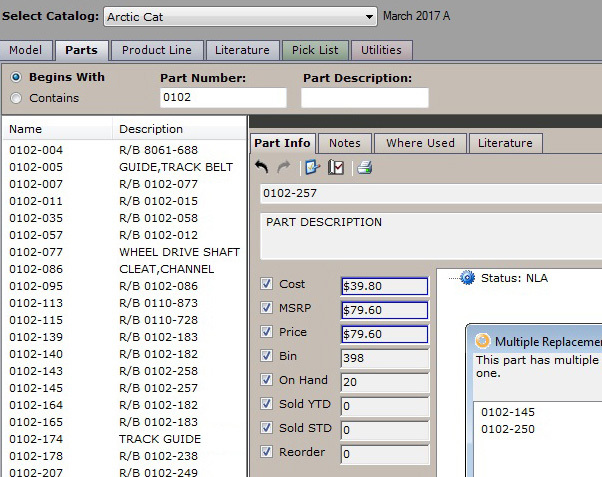 More Connections PartSmart integrates with more than 90 Dealer Business Management Systems to display your part pricing and inventory levels, and export your picklists to create an invoice in your Dealer Management System. View Manufacturer Notes And Bulletins PartSmart gives you a single source to access manufacturer notes, service bulletins and more for models, diagrams and parts. Create A Pick List PartSmart lets you add parts to a Pick List with a single click then print it or send it to your business management system to create an invoice. Print Illustrations or Parts List PartSmart provides a convenient way for you to print important information from the catalog. You can print full images or zoomed-in views. See What Your Department is Missing. We have been a PartSmart customer for many years and website customer for around 5 years now. I would highly recommend them.